Yesterday, Jen and I completed our volunteer project for the Sustainable West Seattle Festival. After drumming up some sponsors for the event, we presented table information from 10:00-3:00 on raising ‘backyard’ chickens. Jen also presented a workshop at 10:30 for a few dozen Festival attendees (her picture even made the West Seattle Blog). 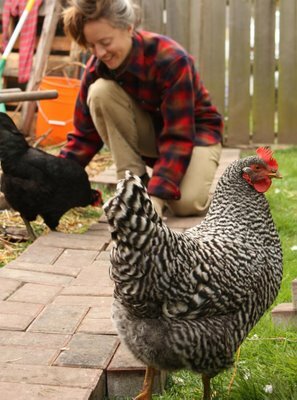 Stay tuned for a tour of West Seattle chicken coops this summer. Contact me if you are interested. Bike To Work: Drive Less. Live More. I love my website. The email and appointment confirmations all work great!